Mythology and foxes are two subjects that have always fascinated me, and they come together in the kitsune, a blend of both. In Japanese culture, subjects that might seem very different in a Western context - magic and animals - are not viewed in the same way. Many animals have attributes that would seem extraordinary or supernatural to Western eyes, but to the Japanese, these attributes have always been part of the innate character of that animal. 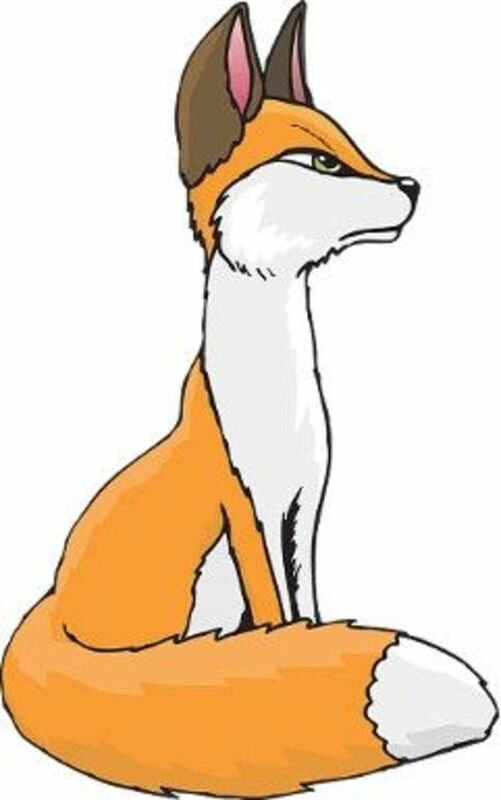 And so it is with the fox - or kitsune, as it is named in Japan. 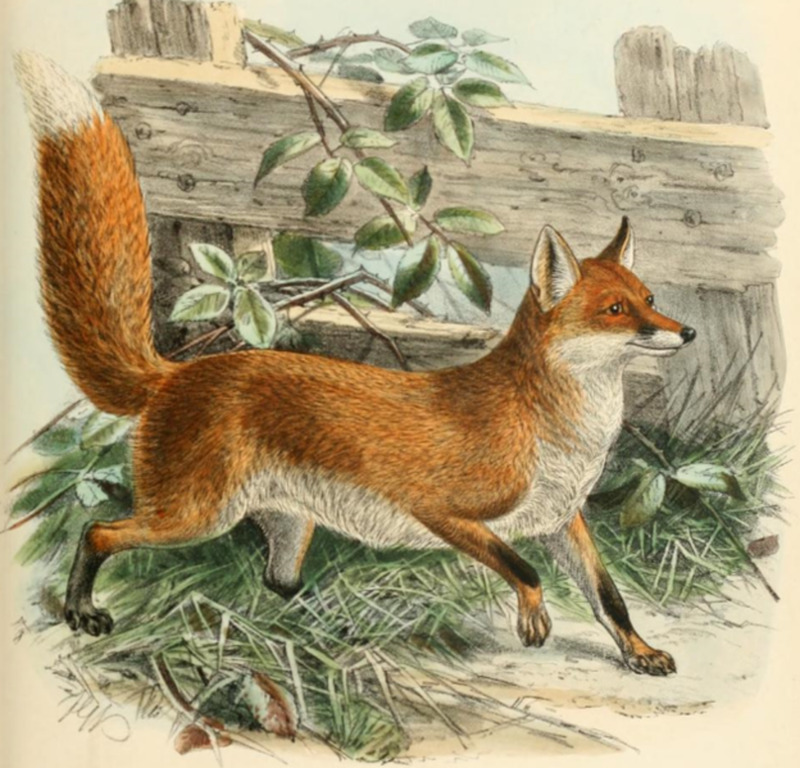 The fox appears in folk tales around the world, such as Br'er Fox in the USA or Todd in Great Britain, and has inspired many modern fictional tales. 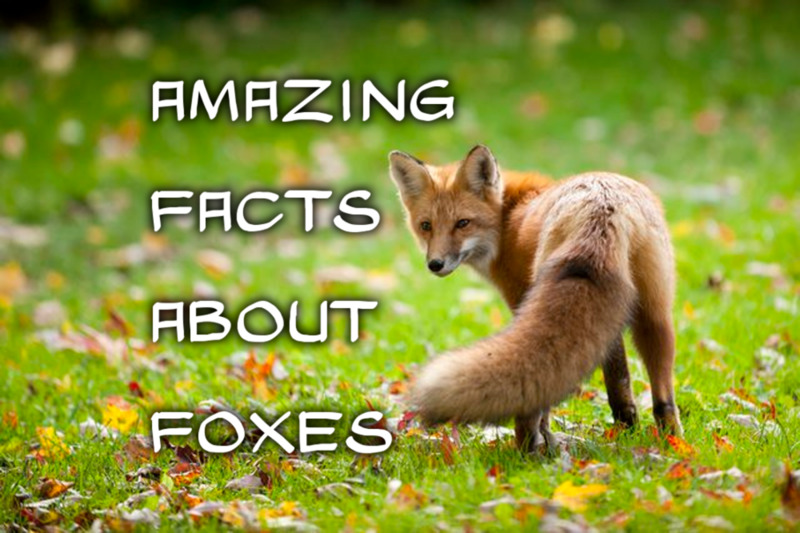 In Japan, the fox features in many folk stories and is known as the kitsune. The kitsune is intelligent and grows in wisdom as it ages, even acquiring additional tails - up to nine! It can spark fire from its tail to defend itself from attack. But its main power is that it changes form. Unlike other shape-shifters in folklore, such as werewolves, the change is in reverse - foxes can appear as human. In fact, the kitsune has a predeliction for changing into young attractive women and in that guise picking up gullible men. Some of these foxes do really love human men, and may even set up house with them, but others use their shape-shifting ability to play tricks. To change into human form, a kitsune places either reeds, waterweed or a skull on top of its head. Foxes could also possess young women, a state known as Kitsunetsuki. Until the 20th century, this was often used as a label for mental illness in Japan. Some kitsune serve Inari, a Shinto spirit or god who governs rice, an important food in Japan. The worship of Inari dates back to at least the 6th century AD. These kitsune are white, which is a lucky colour in Japan, and act as messengers of the god. They are closely entwined with the worship of Inari, and are sometimes made offerings in their own right. 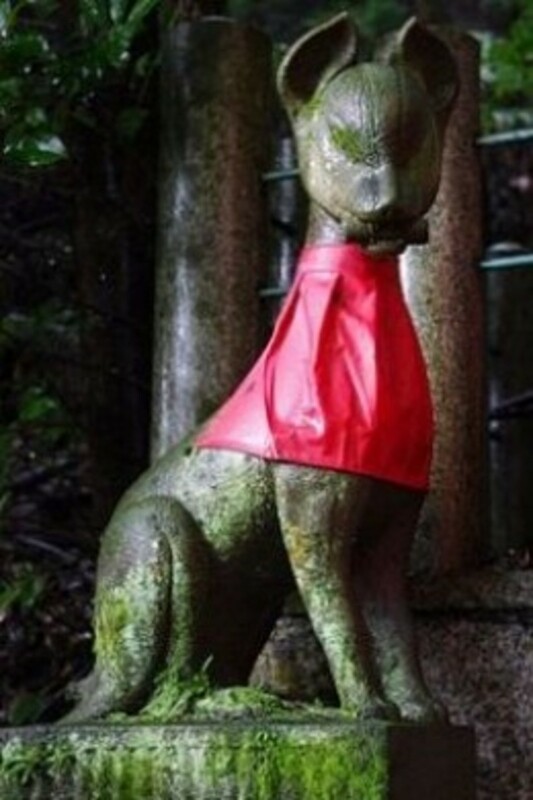 For this reason, many shrines of Inari have statues of kitsune, and at the Fushimi shrine, where this photo was taken, the kitsune even have their own sub-shrine. White kitsune can ward off evil and sometimes act as guardians. One of their duties is to chastise and drive away the mischievous foxes who bother humankind. 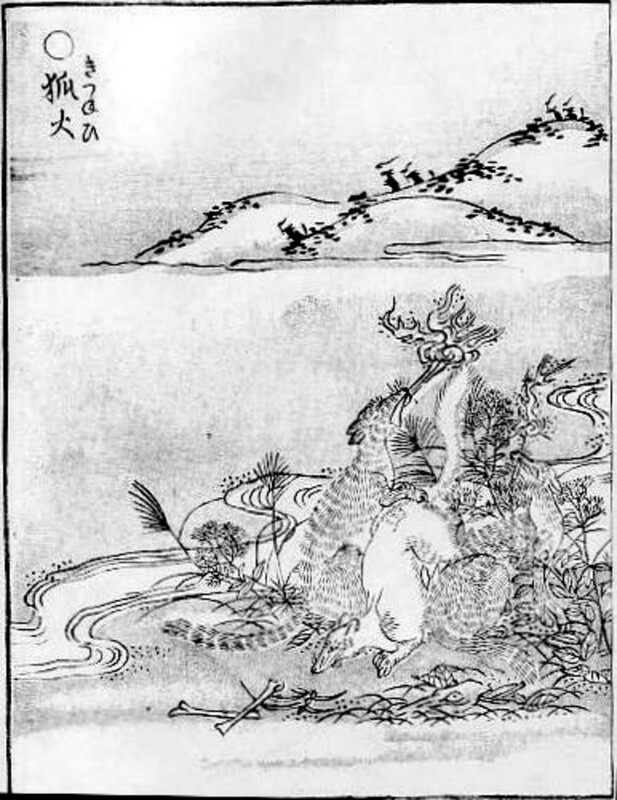 Foxes usually produce fire from their tails as a defensive weapon, but in this illustration by Sekien, the fox on the left is blowing fire from its mouth, like a Western dragon. This is the kitsune-bi, a fire that foxes produce at night, often working together to create a line of glowing fire, out in the countryside. You can see other foxes on the silhouette of the hill in the distance, doing the same. A regular event where foxes gathered together to produce this glow, occurred every year on Omisoka (New Year's Eve). The foxes of the whole region around Oji, near Tokyo, gathered by this particular enoki (Chinese Hackberry) tree, also known as a Garment Nettle tree, in what was, in those days, a rural area. 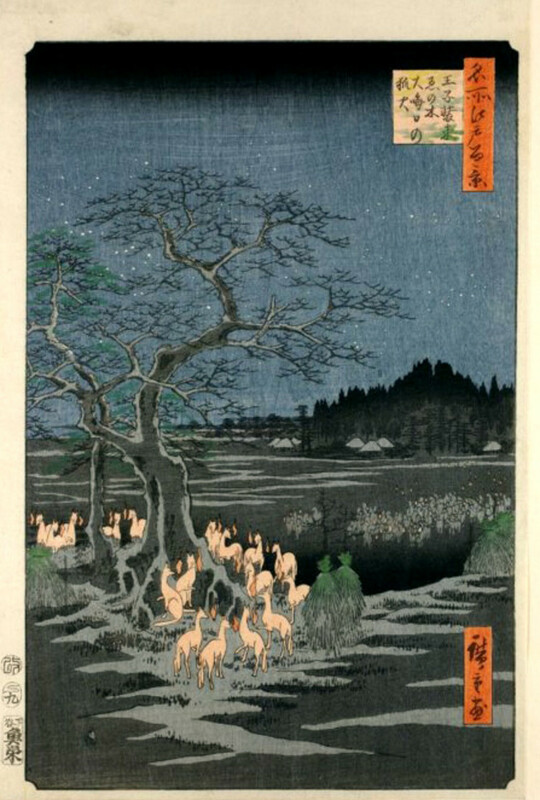 Ando Utagawa Hiroshige depicted this in 1856-59 in his painting, shown below. From the enduring interest about kitsune in folklore, a fictional interest slowly developed. Minamoto-no-Takakuni, also known as Uji Dainagoft, who lived from 1004 to 1077 AD, wrote a large work called the Konjaku Monogatari, consisting of many volumes. 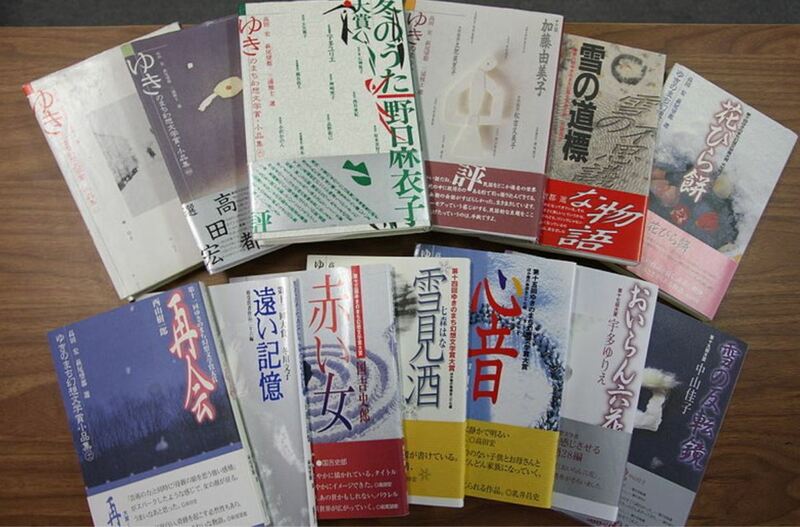 In these, he collected tales from India, China and Japan. Many strange creatures, including kitsune, appear in its stories, and marriage between kitsune and human beings are frequent. One sample story will give a flavour of these tales. Once, the wife of a low ranking government official had to leave the house for an urgent errand as night was coming on. Her husband was relieved when she soon returned, but his relief turned to alarm as another, identical, woman arrived. Everything about the two women, including their clothing, was exactly the same. He realised instantly that one of them must be a kitsune playing a trick - but how to tell which one? After puzzling for a while, he drew his sword and confronted the second woman, but she cried out in his wife's voice that he must have gone mad. He then turned on the first woman, but she screamed and begged him to spare her. Something about her made him suspicious so he grabbed her by the arm. She instantly turned into a fox, peed on him, and when he jumped back in consternation, made good her escape! In more recent times, writers of fiction have tackled the subject of kitsune. A well-known one was Abraham Merritt, a popular fantasy writer of the first half of the Twentieth Century. 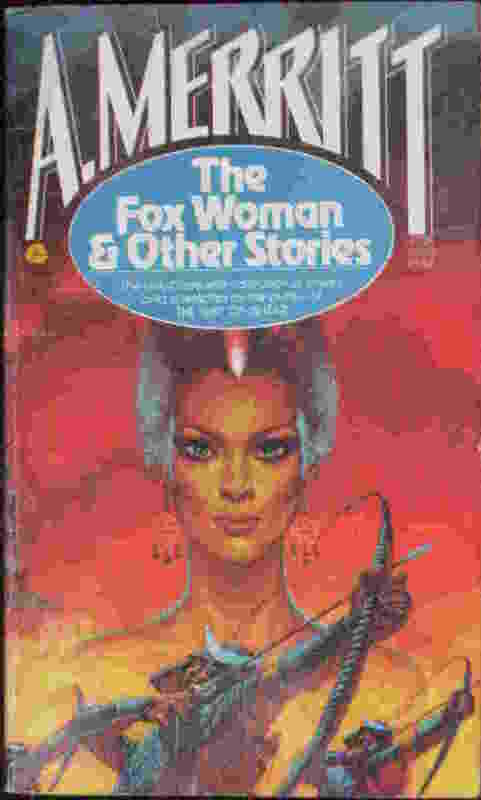 Sadly, he did not complete his Fox Woman story, about a pregnant woman being pursued by violent men, who takes refuge in a shrine served by kitsune. You can read his story in several places on the Internet. It was eventually completed by Hannes Bok though I haven't succeeded in tracking down that version. The edition here has a cover illustration by Ken Barr whose work is showcased in a book on Amazon, The Beast Within - The Art of Ken Barr. This edition is for the Kindle and is free. Other writers have played with the idea without sticking to the "rules". David Garnett's prize winning novel of 1922, Lady into Fox, features a woman who spontaneously changes into a fox while out walking in the woods one day. Despite this, she carries on trying to act human, but her animal nature gradually takes over and she eventually gives birth to cubs. I read this book many years ago so don't recall much about it, but I won't give away the ending in case you want to follow it up on Project Guttenberg or in paperback or this Kindle version. 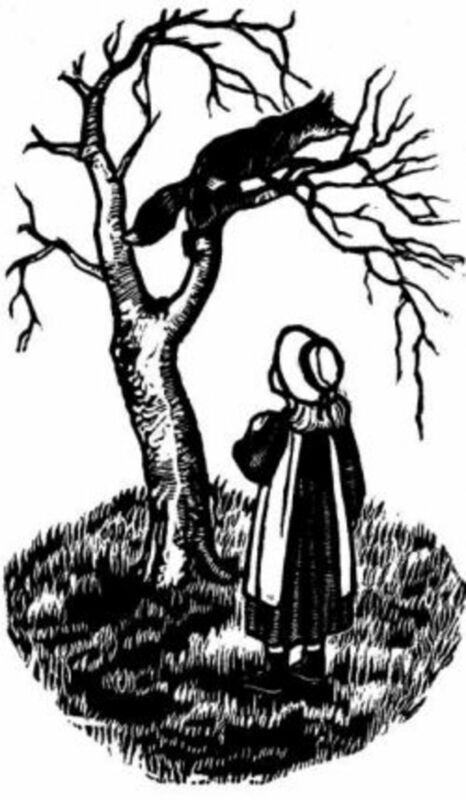 It also has some very nice woodblock illustrations, like the one shown below, and you can download a version from Project Guttenberg for the Kindle which includes them. Lady into Fox was turned into a ballet by Andrée Howard and first danced in 1939, with the starring role performed by Sally Gilmour. It has been performed a few times since, probably most recently by the London Sadler's Wells company in November 2006. Thanks to Laura van Arendonk Baugh for tracking down this video of Kathy Mar's 'Fox Woman' filk song. From the lyrics, it must have been based on Abraham Merritt's Fox Woman. Stories about the kitsune are becoming popular. Here's a small selection. Fox Woman tells the story of a love triangle between a husband, wife and kitsune, with part of the story told from the kitsune's point of view. This is the paperback edition, and the book is also available on Kindle. In this novella, the writer explores the challenges faced in protecting a new bride from a kitsune that may be in the household, hidden in plain sight. 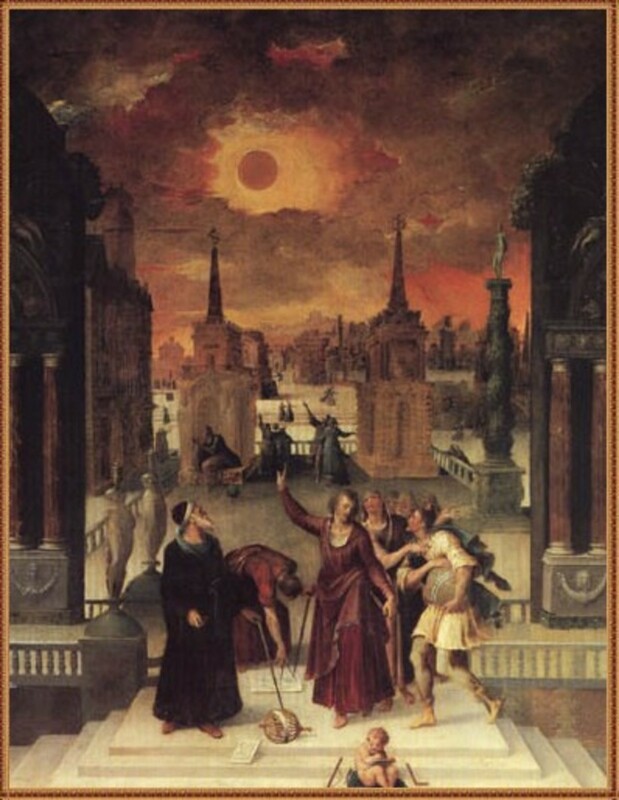 Winner of the Luminis Prize, it is available as a Kindle book. I have actually bought this, though I haven't yet got round to reading it. She has also brought out a second volume. The latest incarnation for the kitsune is online, in the guise of gaming and roleplay characters, and also in anime. There is even a card game, the subject of a recent Kickstarter project. The kitsune has an eternal appeal, by turns mischievous, charming and seductive, or a wise and loyal guardian. The future looks bright for the kitsune. A resource page with links to various stories about the kitsune and eastern fox spirits. Wikipedia article on the folklore of the kitsune. This is a short story the writer was inspired to produce after visiting the Fushimi Inari shrine mentioned in this article. What Do You Think About the Kitsune? I've heard about the kitsune before, but really didn't know much at all about it. I enjoyed learning more about it today, along with related fox lore. I'd heard the name, but didn't know what it was. I love Japan, and find their mythology absolutely fascinating. Another modern work of fiction involving the Kitsune is "Naruto" a Japanese animated series about a young boy from a ninja tribe who has a Nine-Tailed Fox sealed within him. It's a great series if you're at all interested in Anime (which most Westerners consider 'cartoons', although in Japan they're more equivocal to prime-time TV, and often have a sophistication and depth lacking in almost any western media :). 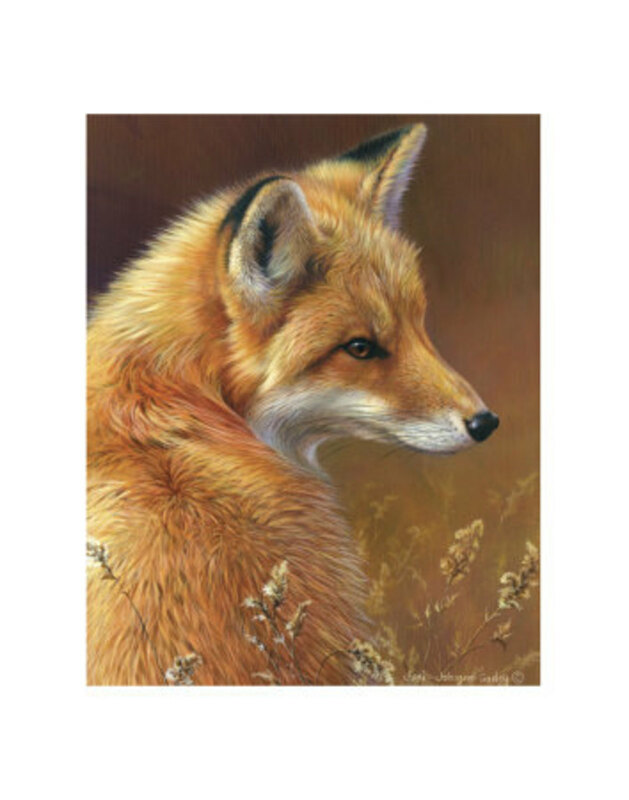 I love fox folklore and I wrote two fox fables myself. There are fox trickster tales in so many cultures! I've heard the word Kitsune, but did not know what it meant. @anonymous: Thanks. Yes I'm from the UK too and I do sympathise with people who keep chickens and have had problems, but also think foxes keep down rats in general, especially around railway lines, that run past people's houses. A fascinating legend. I knew part of this, but not the 'lady into fox' bit - that rings a faint bell with me, something similar to a folk tale from Croatia, but I can't quite place it right now. Oh, great, this is going to drive me nuts until I can think of it... All the same, glad you shared this story! Anything Japanese is very interesting. Hope you will come out with many lenses like this. Thanks for trying to visit my first lens; as you kindly pointed out, the url I had posted in the forum was not correct. There's no way to edit or delete it, I suppose! Welcome to Squidoo and congrats on your 1st lens! I watched that Japanese Drama dubbed in my language when I was small! Amazing lens. @SusanDeppner: Thank you so much. I'm bowled over by the reception my lens is getting. Makes all the frustration with html and positioning pictures worth it. How very interesting! Great read. Awesome first lens! Welcome to Squidoo! Very nice looking and interesting page - very well done, and thank you! Keep it up! Wow! Thanks everyone for the lovely comments and likings and blessings. I wasn't sure people would even find the lens with so much in Squidoo. Thanks very very much, I'm really delighted. Fascinating! I think I've read a Kitsune story (long ago?) but didn't realize that Kitsune are well-known magical beings in Japanese folklore, or that there are shrines dedicated to them. What a wonderful first-lens! Very interesting the Kitsune. Nice looking lens. Just got my first one up yesterday.